Law practice management and technology tips are a great way to get quick shots of information you can use immediately – or tuck away for when you need them. In January I presented a CLE for the CBA on “Tips for the New Year”. Did you miss it? Watch the archived webcast and download the materials for some ideas to keep moving forward this year. The provenance of the “tips” format may be disputed, but ABA TECHSHOW provides some of the best of the best for lawyers in the form of 60 Sites in 60 Minutes and 60 Tips in 60 Minutes. For a taste of ABA TECHSHOW tips check out this wrap-up of 2012 60 Sites in 60 Minutes. Interested in going to ABA TECHSHOW? 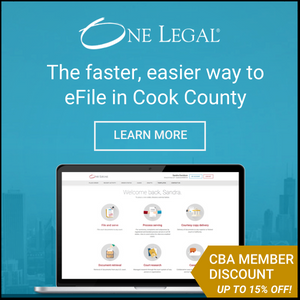 The Chicago Bar Association is putting together a SuperPass group for the absolute best rate until March 9 or take advantage of discounts through the Event Promoter registration. Can’t wait? The March/April issue of Law Practice Magazine is the ABA TECHSHOW issue and the cover story is “13 Tech Tips for 2013″ including tips from past and current speakers – including me! Read the article for some instant gratification.